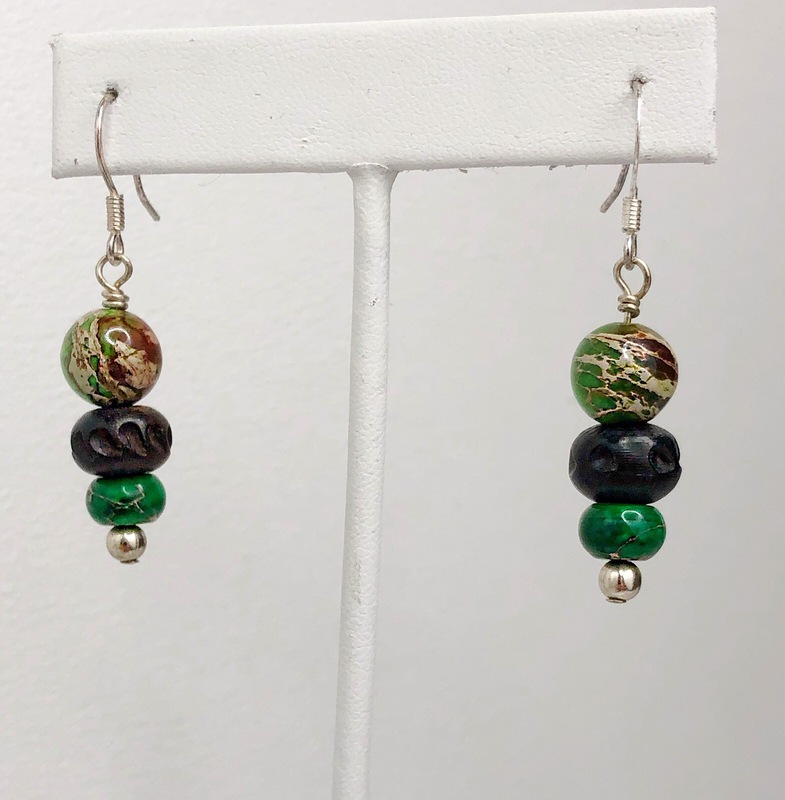 Feel the essence of nature through the colors and texture of these earrings – the feeling of wonder that surrounds one in the midst of a rain forest. These earrings mimic the amazing variation in color in Nature. Imperial Jasper: Imperial Jasper is beneficial for spiritual growth, relaxation, contentment, compassion, nurturing, consolation, tranquility, seeing things through, achieving wholeness, healing and gentle endings. It also holds the general properties of Jasper. Imperial Jasper is known to stabilize emotions and reduce fears and insecurities. It also helps with organizational abilities. Wood: A tree is a symbol of antiquity and immense and enduring strength. Other symbolic meanings of the tree represent blessings of nature, good fortune, stability, shelter and security.